Are you crazy about cars? Well, there are millions of people out there who are crazy about their cars and who would like to have more information on the latest cars that are launched in the market. If you are passionate about cars then you should always keep your eyes on the LA Auto Show that happens every year in Los Angeles. The reason why LA auto show is so popular across the globe is that is brings you the most innovative automobiles on the planet together on one single platform. Here you can find some of the finest cars in the world that will soon make their impact in the market. The 2010 Los Angeles Auto Show will be one of the most memorable auto exhibition as per the experts because there are more than 50 new car companies that will make their debut in the show including North American companies that are ready to storm the market with their innovative machines. 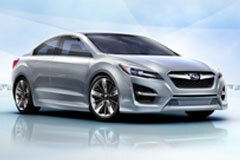 The show will have Hyundai Elantra which is supposed to be redesigned completely. Apart from that the show will have some of the best cars from Lincoln while they will also showcase their new car 2011 Lincoln MKZ Hybrid which as per Lincoln is the best economical hybrid car in the American market. To top the show Subaru will also launch their favorite and new cars in the show. If you are crazy about Subaru cars then you just have to wait and watch the Subaru Concept car that will be showcase in this show. The concept car is supposed to be an example of what Subaru is thinking about the future of sedans. So far Subaru has been the best car company in the United States as they have sold more number of cars compare to their earlier annual records. Electric cars will be the center of attraction in LA auto show because many new car makers are now thinking of different ways in which they can provide more options to their customers. The era of modern electric cars is not too far and you can see that in the show. Chevrolet Volt will be one of the best electric cars that can be seen in the show. Chevrolet has stated that soon Volt will become the world’s first mass produced electric car with an onboard engine. The show will showcase 15 different concept cars and electric cars that will arrive in the future.